According to the advisory, the software giant is investigating a new publicly reported bug affecting IE versions 5 to 8 on Windows XP and Windows Server 2003 Service Pack 2. The fix applies to IE browsers that aren’t configured by default to run in “protected mode” or that have that function turned off. Microsoft’s advisory also applies to IE 5.01 SP4 on Windows 2000 SP4, as well as to IE 6 SP1 on Windows 2000 SP4. This vulnerability typically doesn’t apply when running IE on Windows Vista or Windows 7 because those operating systems use protected mode by default, according to a Microsoft blog. The blog noted that Microsoft has already issued a “Fix it” automated patch to help individual users enable protected mode on XP systems. The bug in question would still require that users be directed to a malicious Web site in order for the exploit to happen. 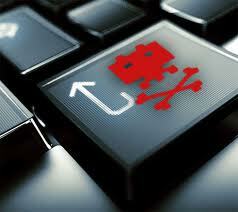 A hacker could gain the same local user rights as the IE user if an attack is carried out successfully. Limiting user rights on the system thus can be a helpful way to lessen an attack’s impact. Microsoft today signaled that a hefty batch of security fixes will arrive on Tuesday. Microsoft’s has tended to break its own records of late. In the past six months, Patch Tuesdays have seemed more like “Fat Tuesdays,” at least in terms of the volume of fixes contained in the monthly patch. February’s patch looks to be no different. According to Microsoft’s advance notice, it will contain 13 fixes — five “critical,” seven “important” and one “moderate” fix. “This amount of bulletins make this the busiest February we’ve seen from Microsoft, with only four [seen in February of] last year and an average of 11 to 12 [bulletins seen] in the three years prior,” said Sheldon Malm, senior director of security strategy at Rapid7. The five critical security fixes will be targeted toward most Windows operating systems, according to Microsoft’s advance notice. Every fix will be associated with remote code execution (RCE) security implications across several as-yet-unspecified Windows components. The most pressing Windows component so far this year from a security perspective has been Internet Explorer, expert say. While the critical fixes apply across most Windows OSes, there will be a couple of exceptions. Critical patch No. 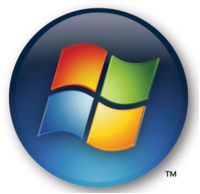 2 will not affect Vista, Windows 7 or Windows Server 2008. Critical patch No. 4 only touches on Vista and Windows Server 2008. The seven important items will be a mixed bag of RCE, elevation-of-privilege and denial-of-service exploit patches affecting both Windows components and Microsoft Office applications. Every supported Windows OS is affected in some form or another. For the Office fixes, only Office apps sitting on Office XP, Office 2003 and Office 2004 for Mac will be affected. The lone moderate fix will only touch on the Windows 2000 and Windows XP operating systems as a patch for an RCE exploit. It will be a busy day next Tuesday if the advance notice is any indication. Security experts anticipate no less than 20 vulnerabilities targeted in the February patch. All 13 security items may require a system restart. If any IT administrators still have time for nonsecurity updates, they can check out this Knowledge Basearticle. It describes updates arriving via Windows Update, Microsoft Update and Windows Server Update Service.